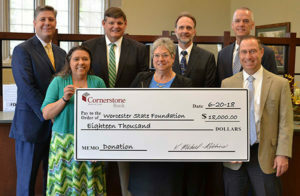 Worcester – Cornerstone Bank’s Charitable Donations Committee (CDC) is proud to have recently donated $6,000 to the Worcester State Foundation. 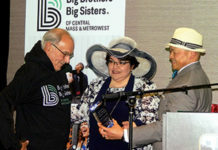 This donation is the first installment of a 3-year, $18,000 pledge and will be used to help establish and maintain a new summer program at Worcester State University geared toward incoming freshmen students who need personalized academic support before starting the semester. For more information visit www.worcester.edu or call 508-929-8000.